Ayurveda is an oldest holistic healing system which uses the inherent principles of nature that maintain health of a person by keeping the individual’s body, mind and spirit in perfect equilibrium with nature. Ayurveda believes that health and wellness depends upon balance between the mind, body, and spirit. Good health is achieved when your mind, body, and spirit are in harmony with the universe. A disruption of this harmony can lead to poor health and sickness. Ayurveda (Science of Life) is an ancient system for diagnosis and treatment. Ayurveda consider its origin over 5,000 years ago in India, ‘Ayurveda’ the oldest healing system was a part of the spiritual tradition of the Sanatana Dharma or vedic dharma of india. Veda is a Sanskrit word which means “knowledge” or “science”. The four ancient books of Indian knowledge, wisdom and culture are known as the four Vedas, Rigveda, Samaveda, Yajurveda and Atharvaveda. Ayurveda traces its origins from Atharvaveda, and is connected to Hindu religion of india, Atharvaveda contains 114 hymns or formulations for ayurvedic treatment of diseases. Ayurveda originated in and developed from these hymns. Ayurveda is considered by some to have divine origin. 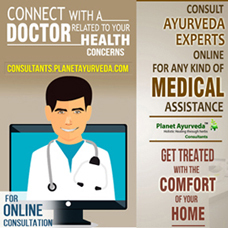 Indian Ayurveda has a long history, and is one of the oldest organized systems of medicine. Charak samhita, a classic ayurvedic text that parallels the time frame of the Atharvaveda is written in Sanskrit by charak around 1000 BC that is based upon the general ayurvedic medicines or natural herbs. Sushruta, a surgeon and student of dhanwantari wrote-the Sushruta Samhita about various procedures (surgeries) to cure the different ailments. Aim of ayurveda is to provide direction regarding diet habits and lifestyle so that people around the world can stay healthy. Ayurvedic medicines are meant to fight ailments naturally and promote good health and well being. There are two complementary aims of the ayurveda. The first is to maintain the health of those who are well. The other is to cure diseases of those who are sick. This aspect relates to various diseases, their causes, diagnosis, remedies and therapies to cure and prevent relapses of illness. 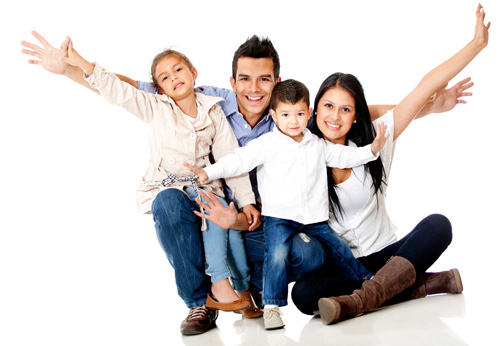 Primary focus of this science is to maintain your health which is done on a daily basis with diet and lifestyle, helping the body and mind to be clean and stable. Means, having a balanced state of Doshas, Dhatus (tissues), Agni (Digestive Fire) and normal functioning of Mala (waste products), cheerful state of Atma (soul), indriya (sensory organs), and Mana (Mind) are the symptoms of healthy life. Your body works to keep you healthy and your exclusive physical and psychological characteristics combine to form your body’s constitution called prakriti. Every person is made of a combination of five basic elements (panchmahabhutas) found in the universe, space (Ether), air, fire, water and earth. These elements combine in the human body to form three life forces or energies, called doshas. According to ayurveda, there three energies are called Tridoshas – Vata, Pitta and Kapha are responsible for the healthy and unhealthy condition of the body. Everyone inherits a unique blend of the three doshas. One dosha is usually more dominant. Each dosha controls a different body function. 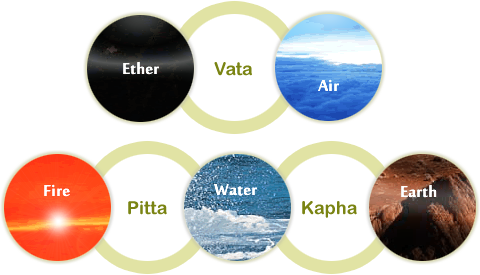 Vata dosha controls all the functions of the body. It is responsible for breathing, blood flow, heart functions, and ability to get rid of body waste through the intestines. Vata predominance in the body is responsible for – nervous system disorders, asthma, heart diseases, rheumatoid arthritis etc. Pitta dosha controls, digestion, ability to break down foods (metabolism), certain hormones linked to appetite. Pitta predominance in the body is responsible for – heart diseases, anger, heart burn, blood pressure, infections, crohn’s disease, ulcers etc. Kapha dosha controls, muscle growth, body strength and stability, weight, immune system. Kapha predominance in the body is responsible for – obesity, cancer, asthma, nausea, vomiting etc. The Ayurvedic doctor aims to achieve complete health for the patient, not just to suppress or alleviate troubling physical symptoms. The approach is to diagnose the root cause and eliminate it. Ayurvedic Treatment depends on your prakriti and doshas. Main goal of Ayurvedic medicine or natural herbs is to clean your body through a process called panchkarma that helps to reduce symptoms of ailments or underlying condition and reestablish harmony and balance. Other treatments are suggested to enhance immune system with herbs, metals etc, proper diet plan and life style changes, plant-based oils and spices, breathing exercise, aromatherapy, improve spiritual healing, yoga, meditation etc.